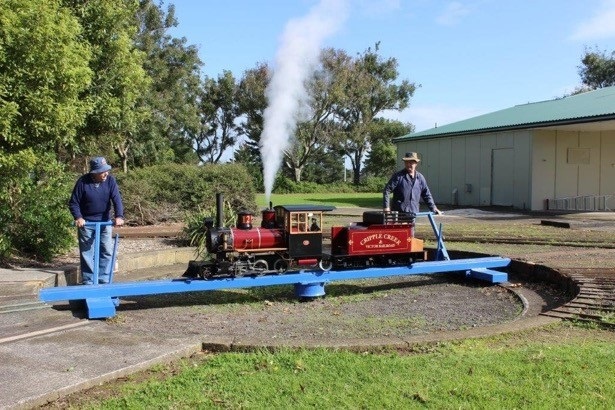 About – Manukau Live Steamers Inc.
Manukau Live Steamers Inc. was formed in 1980 to build a ground level track so members that were building miniature locomotives would have a track on which to run their locos. Special Needs Discount on Concession Tickets also. Cold drinks, Post cards and some MLS merchandise also available. Cash and EFTPOS Available. No Credit or Cash Out. The Hill Track opened in 1985. It’s 850 metres long and is based upon the Raurimu Spiral. This track incorporates a balloon loop, horse shoe curves, a viaduct and a 20 metre long curved tunnel. All trains operating on this track must have brakes. This track supports 3 1/2 inch, 5 inch and 7 1/4 inch gauge locos. The Park Track opened in January 1990, just in time for the International Live Steamers Convention. This track is 1.2 kilometres long and consists of a prairie loop curving around the tree’s of Mangere’s Centre Park. A 60 metre long bridge is a feature of this track where it crosses a very wet area of the park. This track can take 5 inch and 7 1/4 inch gauge locos. 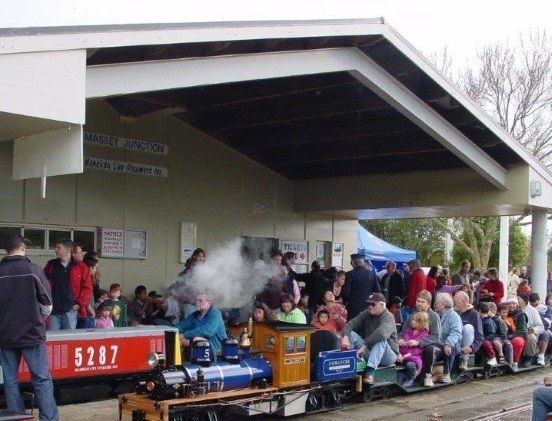 The station, named Massey Junction, and club rooms were opened in 1993 and are a great asset to the club. We also have a several steaming bays and two large turntables, watering facilities and a coaling and fueling area next to the loading bays. We endeavor to make your visit to the club as safe and enjoyable as possible. Please obey the instructions of the station staff and the engine drivers at all times. While on board a moving train, please keep your feet on the running boards, watch out for loose clothing, don’t stand up, and please don’t lean out to the side at any time as this may cause the carriage to tilt over or derail. In the interests of everyone’s safety, taking photographs or making videos while on board the train is not permitted. Also covered shoes are advised for your own safety. 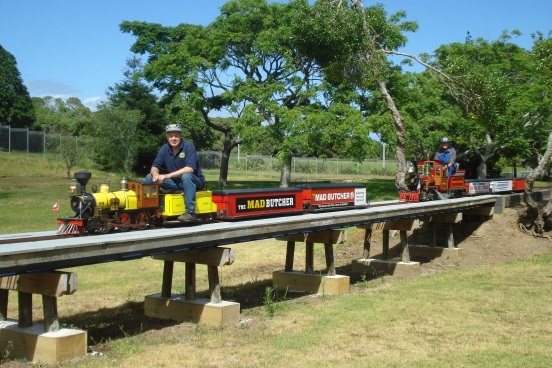 Membership is open to anyone with an interest in model engineering and trains. You’ll learn how our club operates, help out on running days, learn how to drive locos, and maybe even build your own locomotive one day. Feel free to talk to any of the loco owners or drivers to find out more about these magnificent machines. 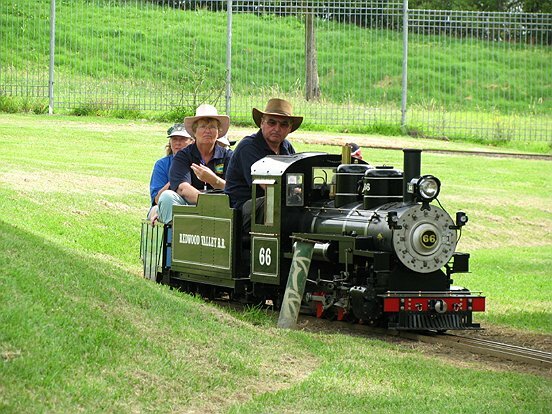 The club owns a number of diesel outline locos, but club members bring their own steam, diesel and electric locomotives. 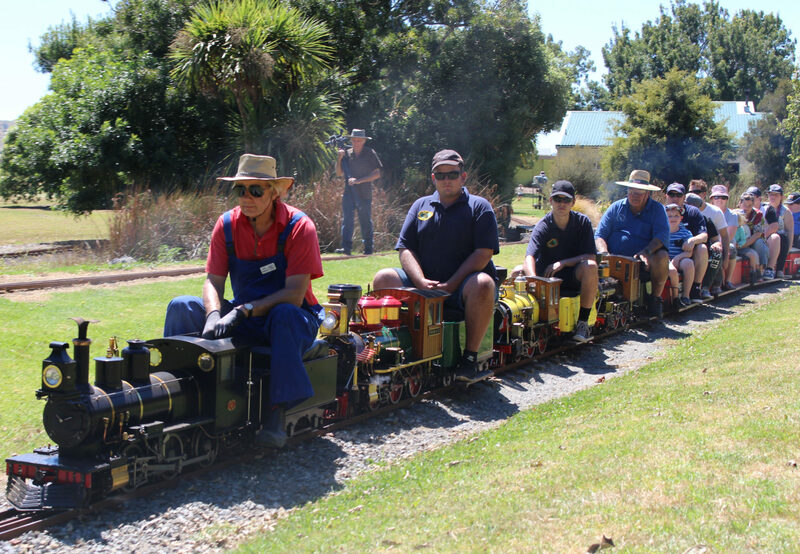 Many of these have taken many years to build and are marvellous examples of skilled precision engineering, modelling full-size locos in operation around New Zealand and the world. We volunteer our time and services to the community and all monies raised are used to improve the club’s amenities and cover maintenance costs. Ask for a Membership Application Form at the station ticket office. 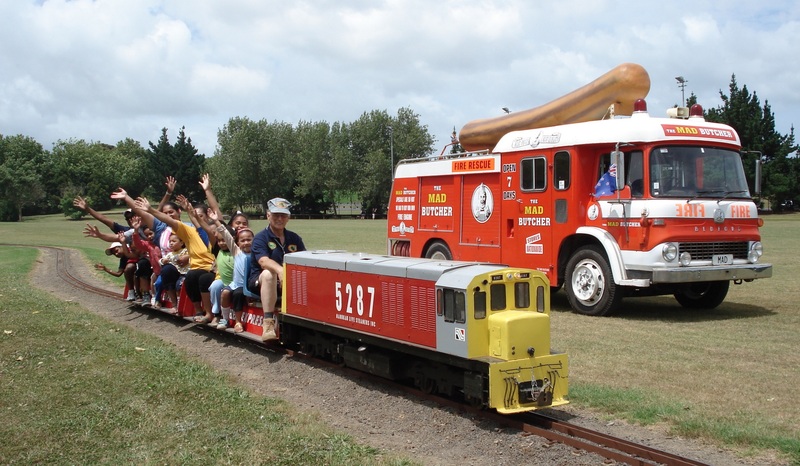 You can go to Flickr to view images posted by members and visitors to Manukau Live Steamers.